How do I share a powerpoint in a meeting? Get to know how to share slides during a meeting. 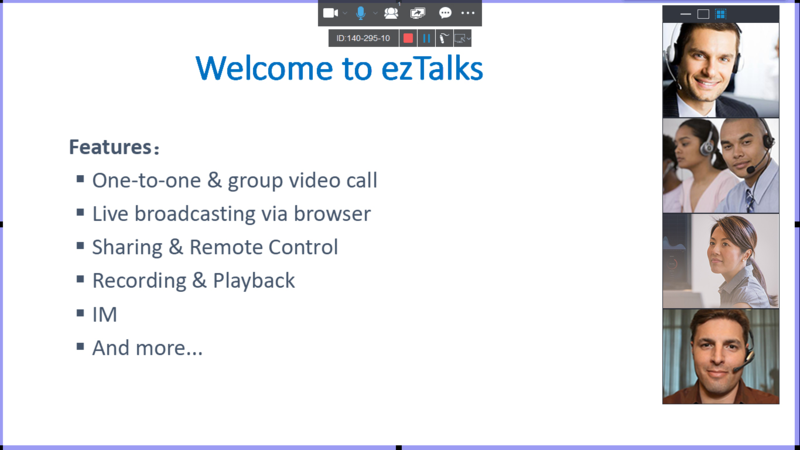 ezTalks Meetings software allows you to share a file or an application during a meeting. Here is the instruction of how to share a powerpoint to your attendess. 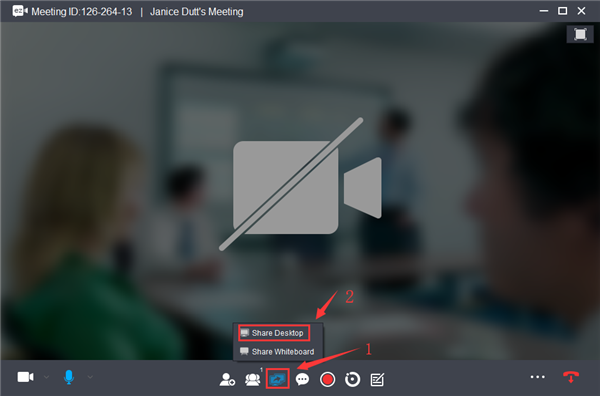 Learn how to share a video during a meeting. Please note: it is recommended to prepare your presentation first and have it opened on your computer, then click on Share Desktop, so that your attendees will only see the powerpoint instead of a bunch of files on your desktop. 2. After you click on Share Desktop, you and your attendees will see the screen as below.